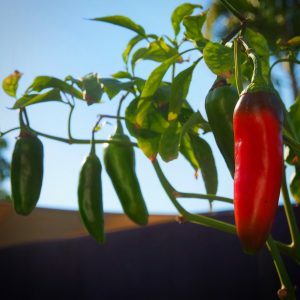 We aim to be the most reputable, reliable and fairest price wise of all suppliers of chilli seed in Australia and even worldwide. We consider our customers as our chilli family and we will look after you like no other. We grow in Australia Queensland and are blessed with weather that is SUPER conducive of growing gorgeous chillies. 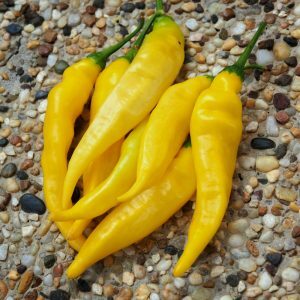 Whether you just want to grow chillies for recipe/cooking purposes or want to grow unique and/or beautiful hybrids we hope to be your one stop shop. Don’t be shy drop us a line – we are here to help with everything chilli. Chillies are the hot fruits of a range of capsicum species that originally came from the warm northern regions of South America. In the past 500 years they have been traded across the warm areas of the globe, and today chillies are an integral ingredient in many different cuisines around the world. There are only four species of capsicum from which all of the modern chilli cultivars have been developed. The deciding factor when choosing a cultivar to grow is the intensity of heat that is produced when they are used in cooking, and it is for this reason that a heat scale from 1 to 10 has been developed to illustrate this to consumers. 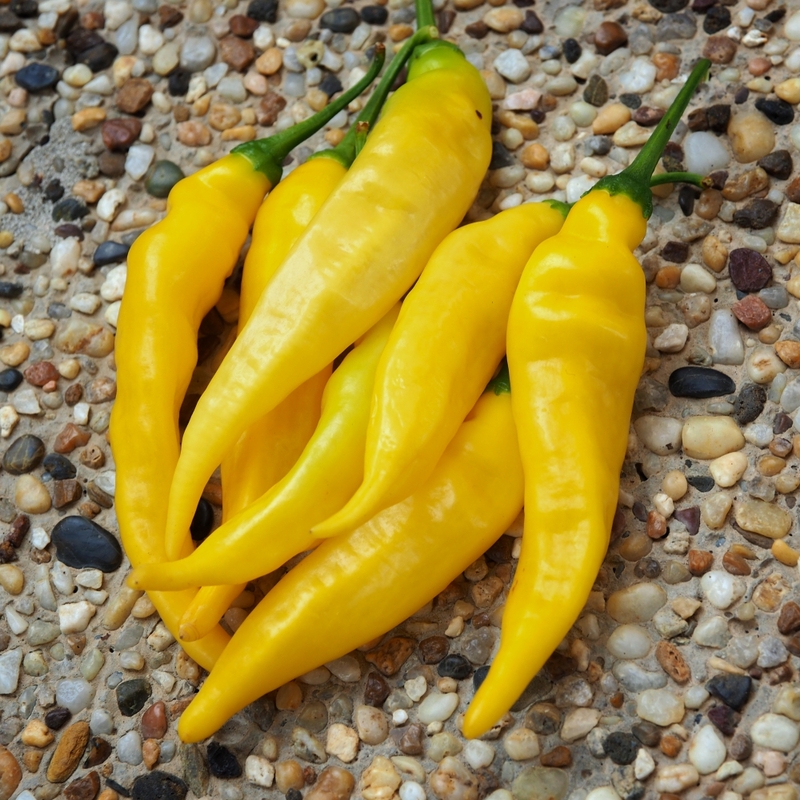 At the low end of the scale Capsicum annum ‘Anaheim’ or ‘New Mexico’ has a rating of 1 and at the hot end of the scale with a rating of 10 from Cuba is Capsicum chinense ‘Habanero’ also known as Scotch Bonnet or Bahama Mama. Besides the hotness, chillies also impart a unique flavour to food. Chillies thrive in alkaline soils, with the exception of Capsicum chinense ‘Rocotillo’, which has a rating of 8 and likes acidic soil, but chillies are generally very adaptable to a variety of soil types. They are also ideal for growing in containers. 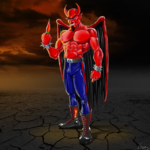 Chillies are grown in full sun, but in some regions the climate is very harsh, and the sun can be fierce. Growing them under trees, in the shade house and even in a glasshouse has proved to be successful. 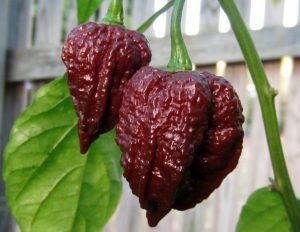 Chillies are shallow-rooted plants and when they are grown in a container their roots will remain warmer in winter than if they were grown in the ground. There are likely to be more failures through dieback and death of the plants in the ground than in pots, which have the other advantage of being able to be easily moved to another location if they are not happy in the one where they are growing. A 20 cm pot is adequate for growing most chilli plants. They are very hardy and even have the ability to recover from leaf drop as a result of drying out. They can be pruned back in winter and will re-shoot with fresh new growth. For economical use of space, it is possible to grow three different varieties in one larger 30 cm pot. Containers with a water-well in the bottom will only need to be watered about once a month. The process of harvesting chilli fruits encourages the plant to set more flowers and produce more fruit, so for this reason it is good to keep the fruit picked to give a maximum harvest from the plants. The fruits do not ripen after they have been picked and need to picked when they are fully ripe. The green fruit has a different flavour to the red ones. Not all chillies are red when they are ripe, some are green, and others are yellow, orange and purple. When chillies are harvested, the chilli juice can be highly irritating to the skin and especially to the eyes, so care needs to be taken. Wearing latex gloves when picking them will prevent the juice from getting on the skin. The antidote for the burning sensation that chilli juice on the skin gives is to rub olive oil or yoghurt onto the affected area. Water will have no effect. It is the seed and the soft tissue that surrounds the seed that causes the burning sensation, so in most cooking styles the seed and the pith is removed, but hardened chilli eaters would not bother.